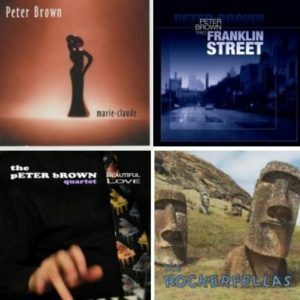 Lanark-based jazz and blues pianist/singer Peter Brown has performed at the Ottawa jazz festival nine years running.. He has toured with Canadian blues legend Dutch Mason, American blues artist Sherman Robertson and with former Rolling Stones guitarist Mick Taylor, and was the keyboardist for Mumbo Jumbo Voodoo Combo for 17 years. 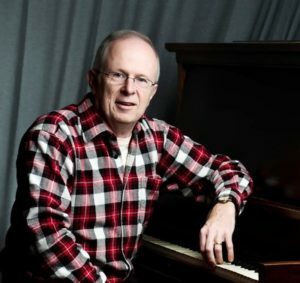 For many years, he served as pianist/bandleader/arranger for the Mississippi Mudds theatre company in Carleton Place, accompanist for the Town Singers of Carleton Place and as pianist for the Stone Fence Theatre Company in Eganville. He has released three jazz CDs under his own name, Marie-claude, in 2002, Franklin Street in 2008, and Beautiful Love in 2014, as well recording with many other artists. His blues/rock band The Rockerfellas released their debut CD, The Rockerfellas in 2015.